If you have already been through the process of buying LAND, then selling LAND is done in a very similar method within the marketplace. Decentraland have created an over the shoulder style video run through which is around 3 minutes long and will show you exactly how to navigate yourself through the marketplace (link) and how to sell Decentraland LAND. 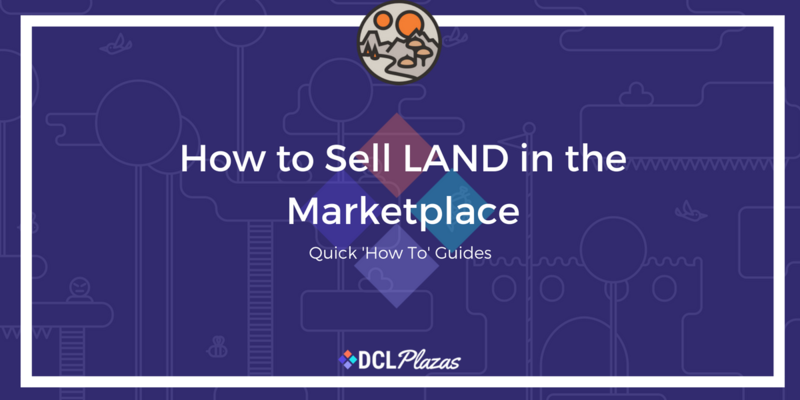 How to buy Decentraland LAND i..